Understanding cannabis prices is part of what will help you make informed purchasing decisions. If you have never been to a licensed cannabis dispensary before chances are one of the top questions you have is how much does cannabis at dispensaries cost? The answer to that question is not as straightforward as many consumers might think. Unlike many other products, the prices of legal cannabis can vary widely for a number of reasons. Cannabis is not like a lot of many other products that have a standard price no matter where or when it is purchased. 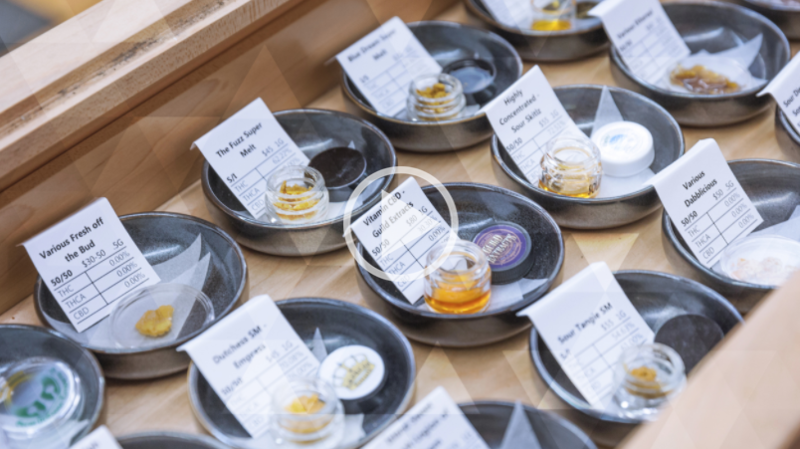 One big factor to consider when trying to establish an expected price range at cannabis dispensaries is the number of different products that are out there now. In states that have an established legal cannabis industry, especially older states, the variety of products can be virtually endless. As with other products, the end price to the consumer is going to involve what inputs and processes went into the cannabis product. The days of dispensaries just having glass jars full of flower are long gone. Now dispensaries carry everything from cannabis transdermal patches to infused barbeque sauce. Consumers need to research for themselves how much of a certain product compares to the effects and benefits that come from flower to gauge how good of a deal the finished product is. The price of legal cannabis really depends on where you live. As alluded to earlier in this article, different states are going to have different prices. Often times the difference in price can be very significant. Older states with more established industries will have lower prices than states that just recently launched sales. All products in a market are subjected to the forces of supply and demand which determines prices, and cannabis is no different. When states first start sales there is a limited number of cannabis to go around, with shortages being common. During those times the prices of cannabis will be at a premium. However, as more product enters the market prices level out. Regulations and the amount of licenses issued are big factors on prices too. A prime example of that is in Oregon where the number of licenses issued is very high and the price for cannabis is very low due to the competition. A little bit of homework on your local cannabis market will help you understand who has the best prices. The price for cannabis flower can be as low as $1 a gram at some Oregon dispensaries, and as much as $30 a gram in some states on the first day of legal cannabis sales. The price of an edible at one dispensary could be significantly less than at another dispensary down the road. For consumers, the only way to know exactly how much something costs at a dispensary is to either check out their online menu (if they have one), call into the dispensary, or go into it in person. Many dispensaries have promotional days with deals, so even the same product at the same dispensary could vary depending on the day of the week. If getting the best deal is important to you, then you need to do your research and know that you will not be missing out on any once-in-a-lifetime deals while you wait. It is better to make an informed purchase and feel satisfied with what you bought than get hasty, purchase something you don't actually like or pay too much, and feel buyer's remorse! Cannabis prices in your area?